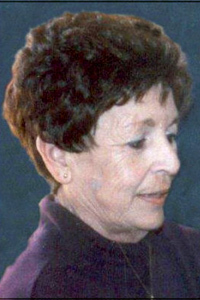 Bertha was born on April 25, 1938, in Webster City, to Earl and Viola (McCauley) Roberts. She married Charles Takle on June 7, 1961in Omaha, NE. Bertha was a member of the Asbury United Methodist Church, and the Order of the Eastern Star. She was also a member and enjoyed activities with the Red Hat Society. Bertha’s family includes her two sons: Duke (RaNae) of Ankeny, Iowa and Dan (Stacey) of Hudson, IA; grandchildren: Emily, Charles, Miranda, and Rachel; brother Rodger (Shar) Roberts of Laural, Iowa; several nieces and Nephews, including Deb & Tammy; She was preceded in death by her husband in 2006; son David in 2011; three brothers: Ron, Frank and Vic.